The major international financial institutions (IFI’s) — including the IMF, World Bank and the Inter-American Development Bank, supported the administration’s destabilization efforts by cutting off hundreds of millions of dollars in credit to one of the most desperately poor countries in the world. The pretext was a dispute over the election of seven senators of Aristide’s party in 2001. Aristide offered every possible solution but it didn’t matter. With Washington and the IFI’s backing them, the opposition refused any agreement short of Aristide’s resignation. Unelected coup Prime Minister Gerard Latortue speaks to Canadian soldiers. We sign this statement to tell the world, and especially the Haitian people, that we are ashamed and outraged by the Canadian Government’s active participation in the February 29, 2004 Coup d’Etat that toppled the duly-elected Government of Haiti led by President Jean-Bertrand Aristide. An RCMP officer training Haitian National Police recruits in 2005. On behalf of all Canadians, the great majority of whom are kept ignorant of this Coup and its aftermath, we sincerely apologize for the terrible, lasting damage it has caused. 1) Canada was centrally involved in planning the Coup. 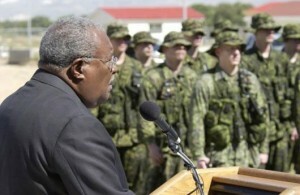 A year in advance, on January 31 and February 1, 2003, Canada hosted the Ottawa Initiative on Haiti. This controversial meeting was held at the Meech Lake Government Resort, near Gatineau, Québec, to plan and consolidate the Coup. 2) Canada took an active part in the actual forced removal from Haiti and exile to Africa of President Aristide. 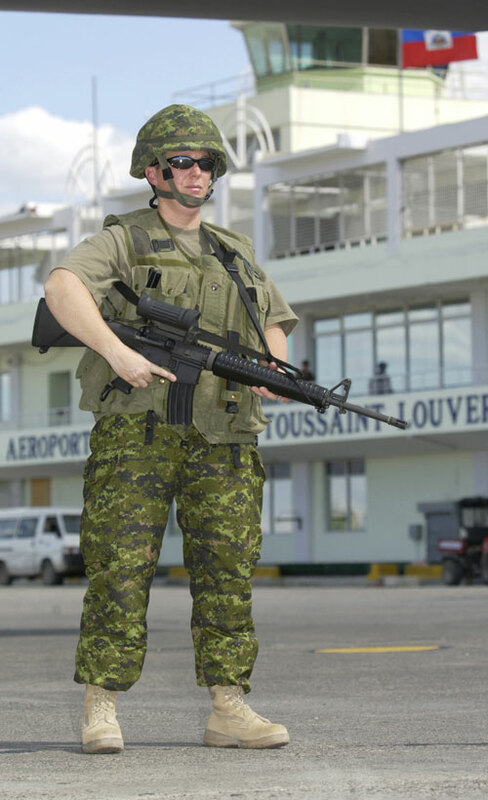 Canadian soldiers, notably those serving in Joint Task Force 2, were assigned by Canadian government leaders to join local paramilitary mercenaries and U.S. troops illegally deployed to Port-au-Prince, Haiti, to conduct the Coup d’État. Militè Kanadyen, 28 fevriye 2004. A Canadian soldier at the Port-au-Prince airport on February 29, 2004. 3) The Coup was followed by several documented massacres and arbitrary arrests of pro-democracy activists. 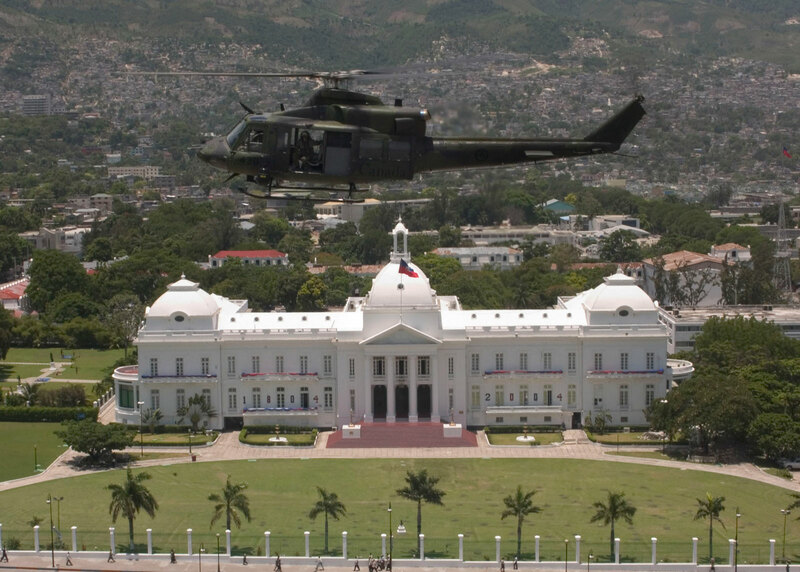 It dismantled Haiti’s entire elected government structure, and U.S.-appointed post-coup regimes — backed financially, militarily and diplomatically by Canada — are marred by serious human rights abuses. 4) One of the most disastrous consequences of the Coup and subsequent U.N. tutelage is that Haiti, a country with no known cases of cholera for the past 100 years, now has one of the worst cholera epidemics in the world. 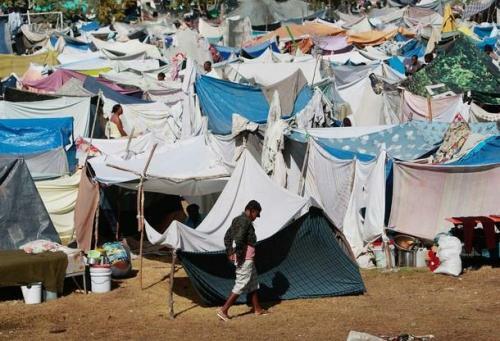 The cholera death toll has already reached 8500 and as of January 2014, more than 700,000 have gotten sick from the deadly bacterium. 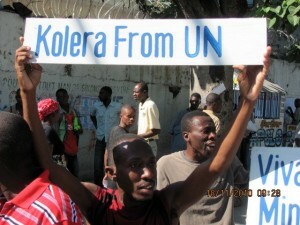 Several independent scientific studies unequivocally implicate the UN for introducing cholera to Haiti. According to these studies, UN soldiers stationed near Haiti’s La Mielle and Artibonite Rivers contaminated these major water sources in October 2010 with improperly disposed feces. To date, the UN refuses to assume responsibility for this grave act of criminal negligence. We support the worthy efforts of human rights groups Bureau des Avocats Internationaux (BAI) and the Institute for Justice and Democracy in Haiti (IJDH) to seek redress from the UN for the thousands of victims of cholera in Haiti. A Canadian helicopter flies over the Presidential Palace as the coup unfolds. 5) The grassroots pro-democracy movement in Haiti, which bravely overthrew the brutal dictatorship of Jean Claude Duvalier in 1986, has suffered major setbacks since the Coup took place. The people of Haiti are currently ruled by a U.S.-imposed neo-Duvalierist regime, under which the former dictator benefits from open support from powerful national and international allies. Duvalier has brazenly mocked his victims since his January 2011 return to U.N.-occupied Haiti. 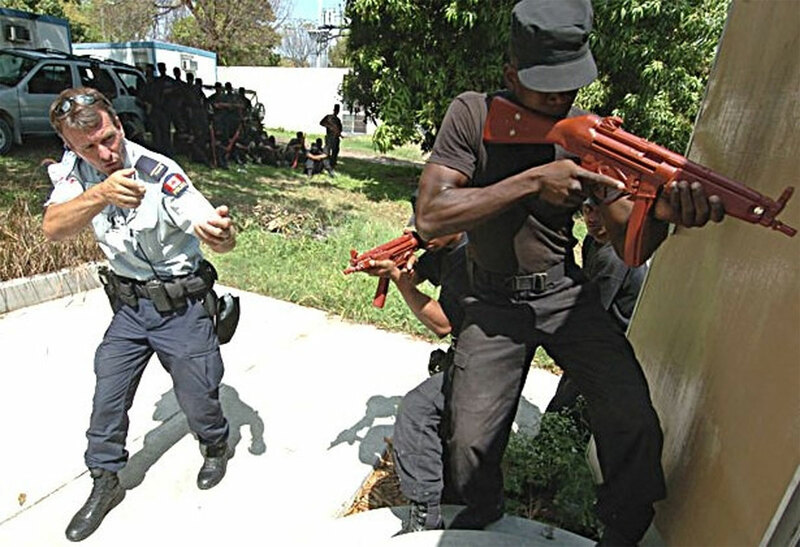 Canada’s role in planning and carrying out the February 29, 2004 Coup d’État, and in the equally disastrous and illegal U.N. tutelage our government imposed on Haiti to consolidate the coup, is an ongoing source of misery and injustice for the Haitian people. We urge all Canadians, their organizations and representatives to take effective action to compel the foreign occupation forces to acknowledge and to make adequate amends for the harm they have caused the People of Haiti. Julie Lévesque is a journalist and researcher with the Centre for Research on Globalization (CRG), Montreal. 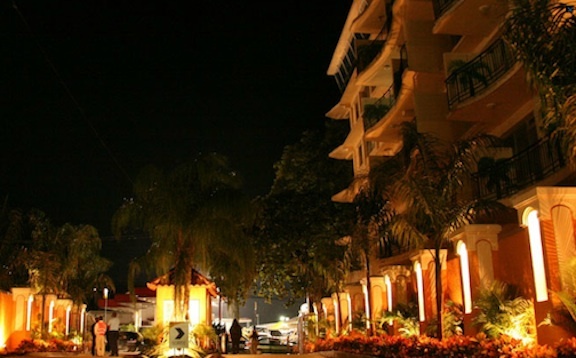 She was among the first independent journalists to visit Haiti in the immediate wake of the January 2010 earthquake.